Home Events, News PICs – What a night it was! PICs – What a night it was! 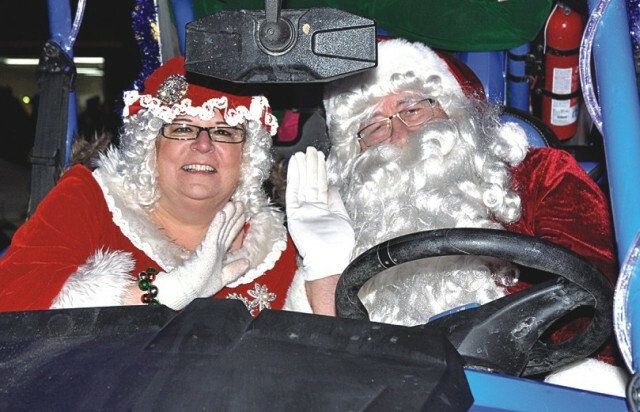 Mrs. Claus and Santa Claus were all smiles at the start of the parade held in his honour. 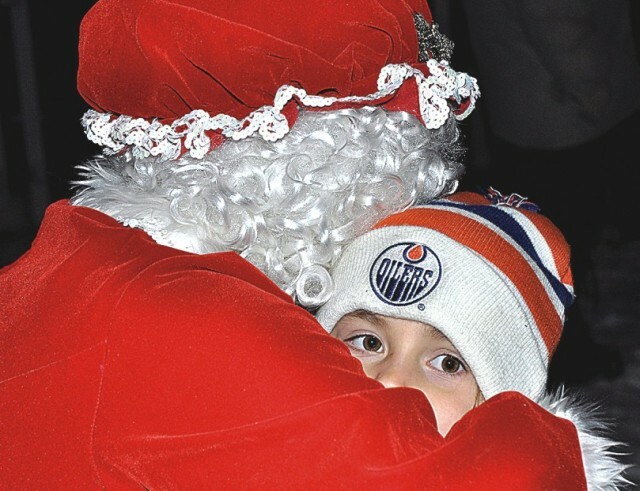 An estimated crowd of close to 1,000 attended High Prairie Light-Up celebrations Nov. 24. 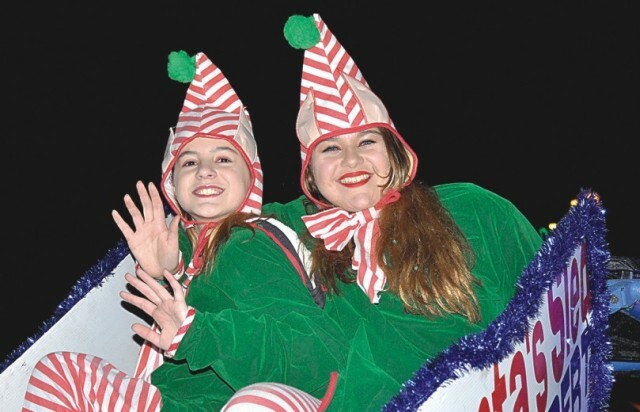 The Santa Claus Parade kicked of the evening before the switch was flipped to light up the town’s dazzling Christmas display. Children then visited Santa Claus at the fire hall. The Town of High Prairie and the High Prairie Community Beautification Association are the major partners in Light-Up. Please see more photos and a story in next week’s South Peace News, or go to the southpeacenews.com website. Santa’s elves, Callista Gomes, left, and Danielle Beaver, later helped hand out treats to children at the fire hall. 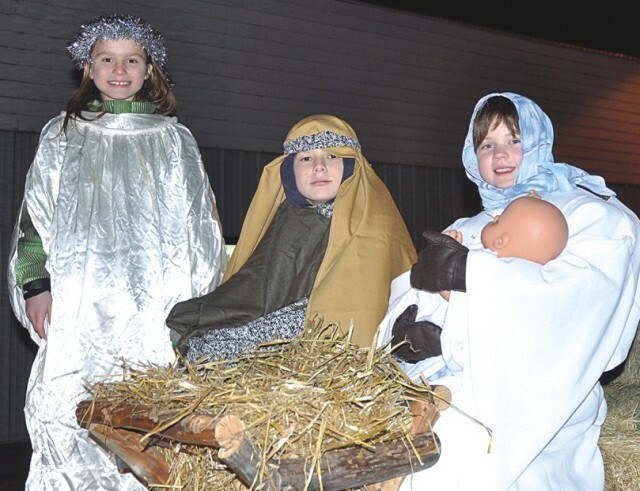 The Non-Denominational Christian float entered the Santa Claus Parade to help promote S. Mark’s Anglican Church’s Nativity Celebration Dec. 1. Left-right are Rebekah Strebchuk, Joshua Strebchuk and Wilsyn Davis–Jensen. High Prairie’s Lexi Flett receives a big, warm hug from Mrs. Claus. Santa and Mrs. Claus had plenty of warm hugs and presents for the children during the evening. Flett no doubt had a big list for Santa!